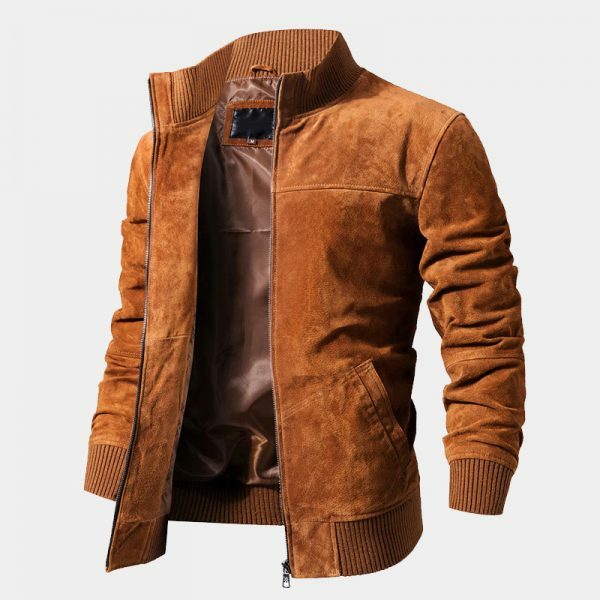 This brown suede leather jacket is a slim fit designed garment. 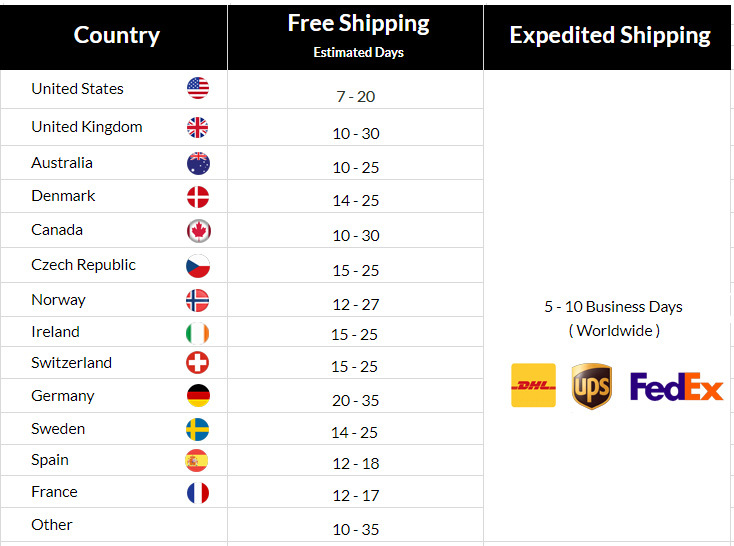 We strongly advise that you check your measurements with the size chart before placing your order. 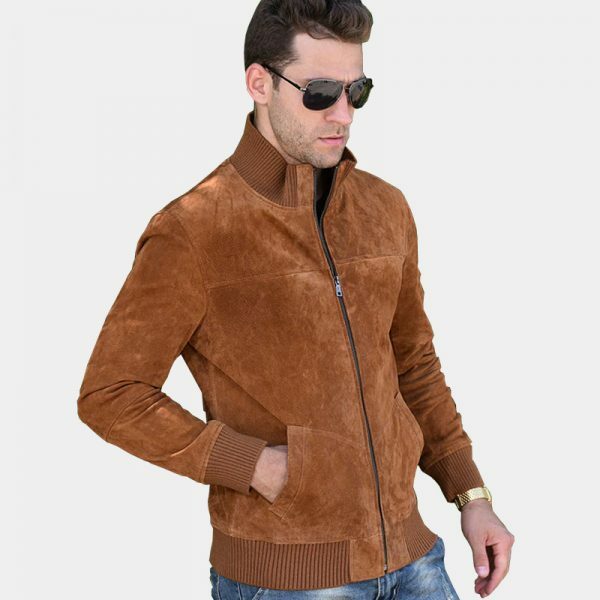 Stepping out in comfort and style is easy when you are wearing this men’s brown suede jacket. 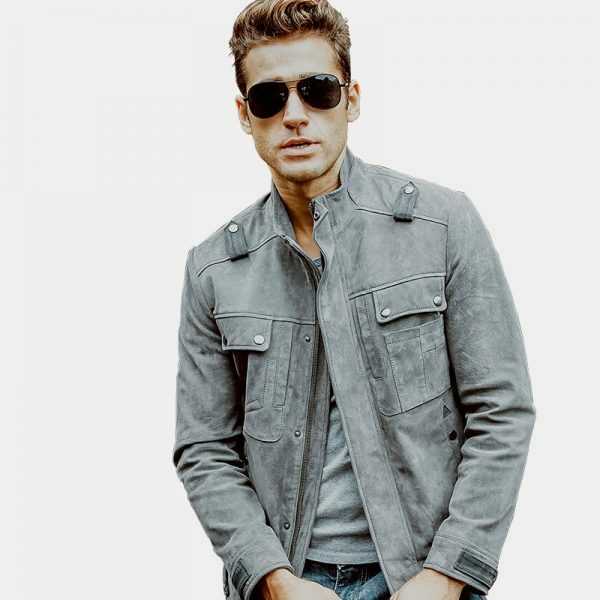 Sleek and stylish, this jacket is the perfect outerwear for cooler Spring and Fall weather. 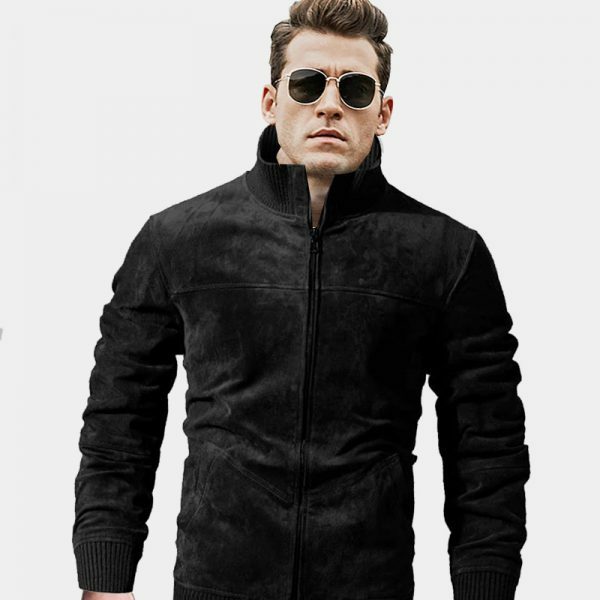 Forget that old hoodie and step up your wardrobe to something more refined. 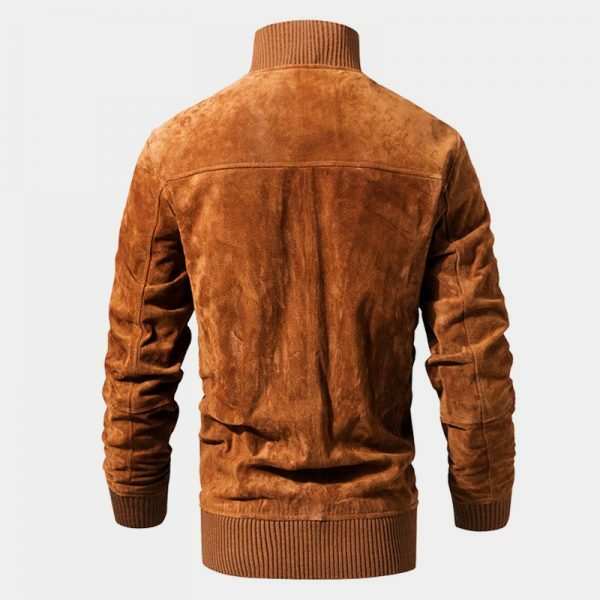 The rich toffee brown color and luxurious suede material make a great combination that pairs well with most looks. 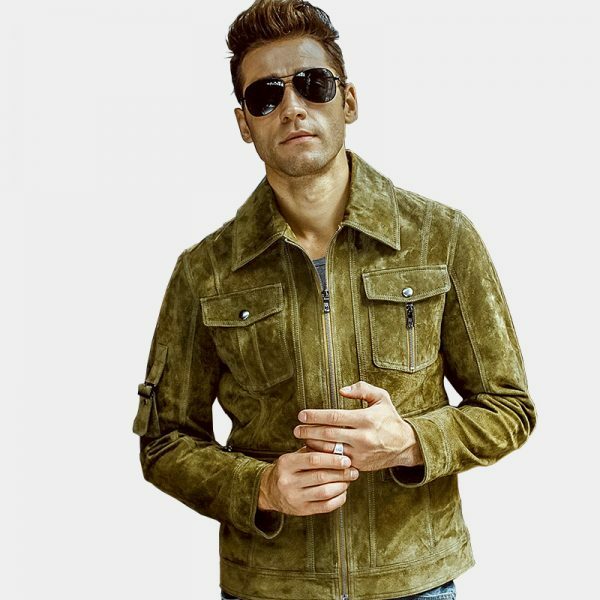 This classic men’s brown suede jacket is expertly crafted by hand and great attention is paid to the details. 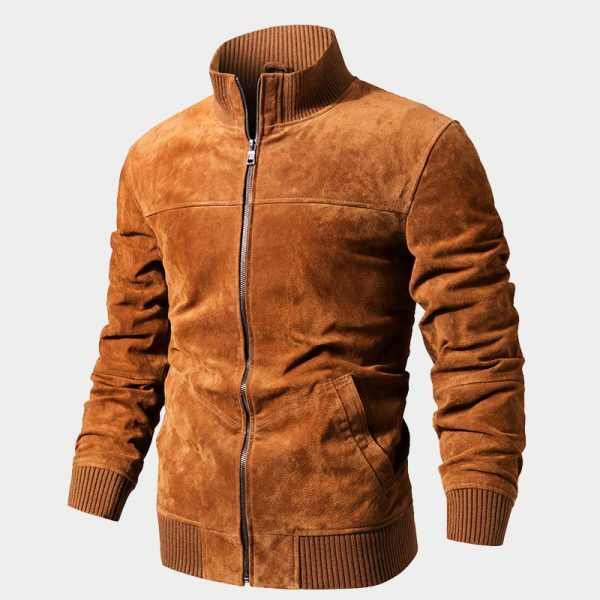 The high-quality materials, including the ribbed fabric at the waist, cuffs, and collar are soft as well as comfortable. 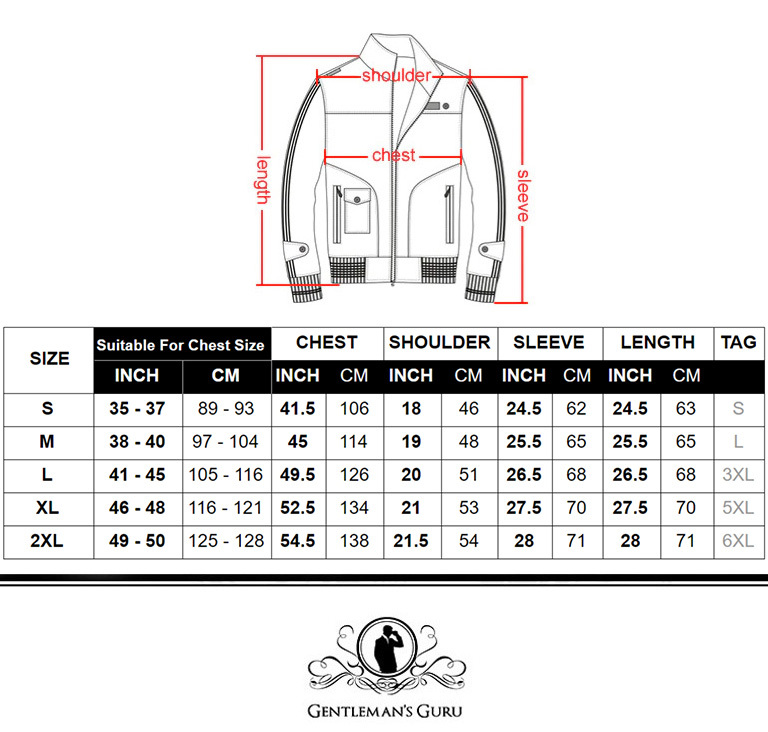 This handsome jacket is fully lined, has a mandarin style stand up collar and a solid metal zipper closure. 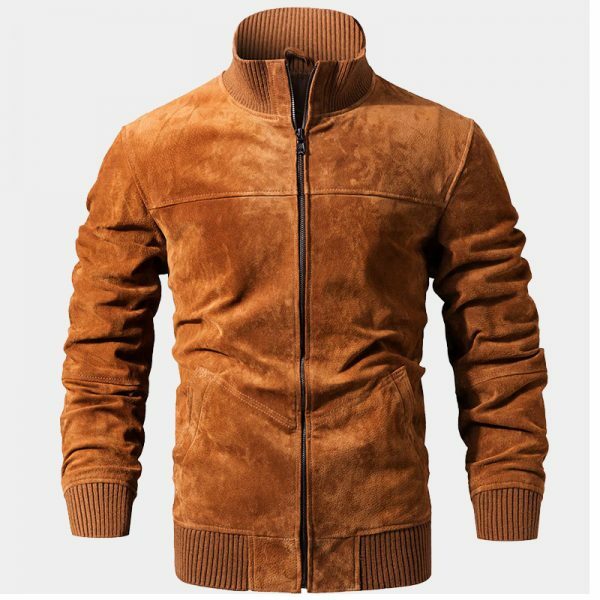 It also has two front side pockets. 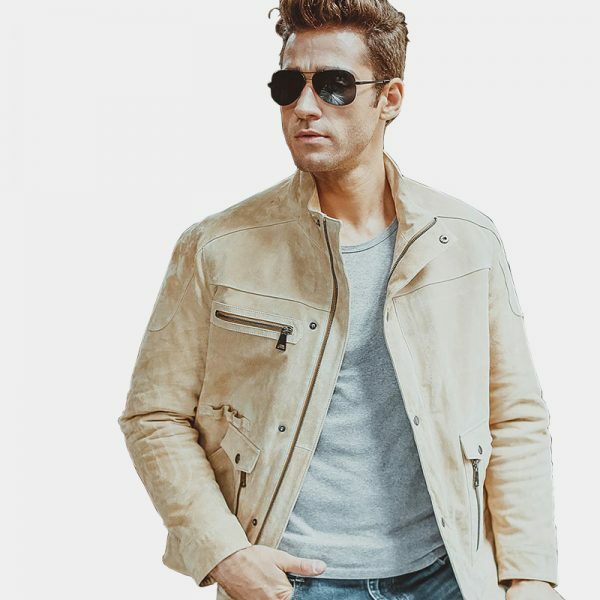 Making a style statement with your outerwear is easy. 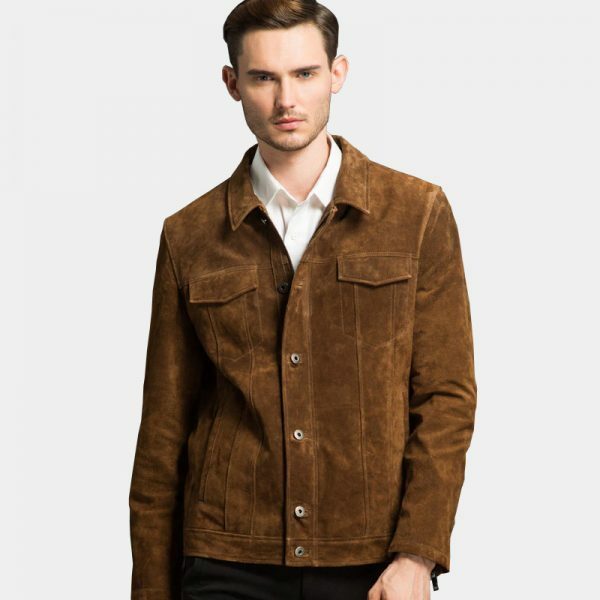 This exceptional men’s brown suede jacket also makes a lovely gift for that special gentleman in your life at the holidays and for birthdays.